Definition at line 53 of file builder.h. vm Virtual machine to create factory for. Definition at line 568 of file builder.cc. Definition at line 572 of file builder.cc. Definition at line 575 of file builder.cc. 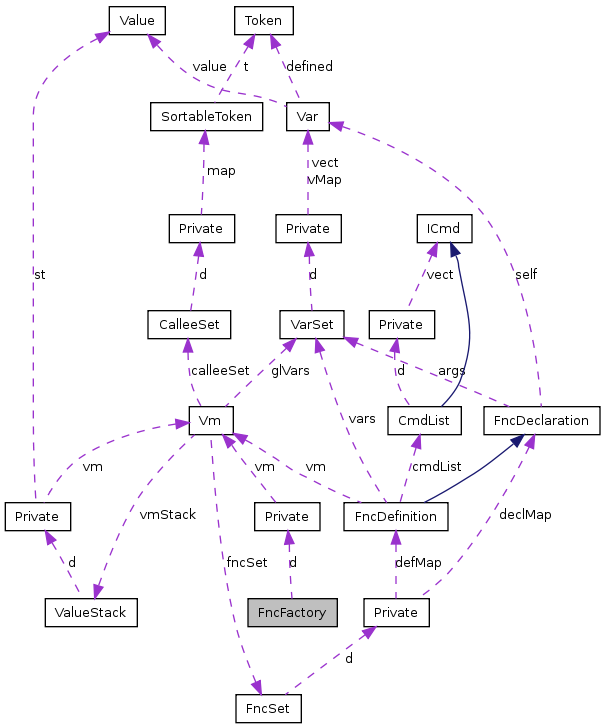 References CalleeSet::add(), FncSet::addDeclaration(), FncFactory::Private::addDefinition(), Vm::calleeSet, createInputDouble(), createInputInt(), createInputString(), createMainDecl(), createPrint(), FncFactory(), and Vm::fncSet. Definition at line 614 of file builder.cc. Definition at line 624 of file builder.cc. References ValueFactory::create(), FncFactory::Private::createFnc(), d, and FncFactory::Private::vm. Definition at line 629 of file builder.cc. Definition at line 634 of file builder.cc. Definition at line 639 of file builder.cc. Definition at line 66 of file builder.h. 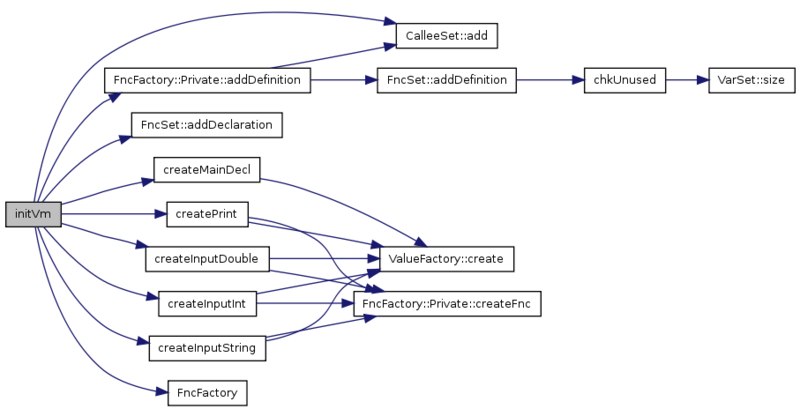 Referenced by createInputDouble(), createInputInt(), createInputString(), createPrint(), and ~FncFactory().